Manuel Rios from Mexico city kicks of this new year with a brand new monthly mix; Enero! First on air here. The best New Gen Italo. Next is DJ Marc Hartman! Enjoy this recently made Classics mix vol 6. With tracks like Richenel, Fox the fox, Heaven 17 and more.. Playlist in the comments of this post. DJ Elroy closes this line up with the 00’s Yearmix 2018. Playlist in the comments of this post. Gwen 04-01-2019 . Categories: +mix, DJ Mix, Freaky Friday, Nieuws. Tags: Disco-Mix, Discontinu, DJ Elroy Heesbeen, DJ Manuel Rios, Electro, Eurobeat, High Energy, Italo Disco, Italo dj Mix, Italo Internet Radio, Italo mix, Marc Hartman APK mix, Radio Stad Den Haag, Radio Stad in the Mix, USA Disco. What a joy… Tony Renzo (NL) did it again. In the B2B series here is nr 104. First on RSDH! Every month we receive the exclusive new monthly mix from DJ Manuel Rios (Mex) filled with the latest. You heard it first on RSDH. Third in line up is a mix by DJ Patrick Camphens. He started to mix in 1984 with vinyl so he goes a long way back, enjoy his mixing skills. Mark Lobensteijn 05-04-2018 . Categories: +mix, DJ Mix, Freaky Friday, Freaky Friday, Nieuws, Pompenburg Mark van Dale. Tags: Disco-Mix, Discontinu, Discontinu mix, DJ Manuel Rios, Electro, High Energy, High NRG, Italo Disco, Italo Disco High NRG House mix, Italo dj Mix, Italo Internet Radio, New Gen. Italo, NuDisco, Patrick Camphens, Pompenburg Mark van Dale, Radio Stad Den Haag, Radio Stad in the Mix, Tony Renzo. They have just landed and these guys are paying a visit first to our studio. Santiago, Rogelio & Alexis had some wishes; artists and dj friends that they would like to meet. Thats why we do this extra broadcast. We did as much as we could, some artists like John Sauli and Eddy Mi Ami, unfortunatly couldnt make it. But we still have some great friends for them to meet and greet . Some they have never met befor like the Dutch singer Claudi T (Fatal Destination, Stars on 45 etc). This evening Rogelio will do a live mix. We will have interviews with them but also talk to Claudia T & Michiel van der Kuy. And Eddy Mi Ami will be on the phone. 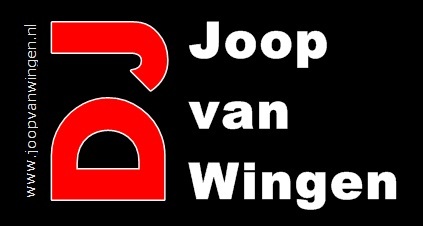 Also on their wish list and present Paolo Jay & Marcello, DJ Peet Need, Savino DJ, Ron Steusfij, jeroen Mooijman, Marco di Luna and more friends. It was a great evening!! Here are some pics! 4 Cams are rolling and the chat is open as allways. We will play lots of Dutch disco, High NRG productions this evening and a 30 min mix by King fashion Team! From left to right; Santiago, Rogelio & Paolo Jay. Claudia T. Claudia T & Michiel vd Kuy. Rogelio & santiago. Guests!. 11pm CET; Mark van Dale in the Mix classic house! Gwen 18-01-2018 . Categories: +mix, DJ Mix, Freaky Friday, Nieuws, Savino Deejay, Special Show, vinyl. Tags: Claudia T, David Daddy, Disco-Mix, High Energy, I Venti d'Azzurro, Italo Disco, Italo Internet Radio, King Fashion Team Mexico, Lex van Coeverden, Marcello D'Azzurro, Mexico, Michiel "Laserdance" van der Kuy, Peter Nederpelt, Pompenburg Mark van Dale, Radio Stad in the Mix, Santiago Prado, Savino Deejay, Studiocam, The quest of Italo Disco Roots 2018. 8 till 11pm CET..Radio Stad in the MiX! Rerun saturday at 4pm CET. The shortest day is behind us, the holidays ahead of us. Time to be at home and enjoy the best music and programs on your radio. We start the Christmas holidays with great mix sets…. Play it loud and enjoy! En op deze dag herdenken wij Ger de Goede, de voormalige Stad DJ van het eerste uur, hij overleed 5 jaar geleden…. Second in line up is a New generation mix made by DJ Elroy Heesbeen. Stay tuned all the next coming days. We have great shows programmed for you this Christmas. Gwen 21-12-2017 . Categories: +mix, DJ Mix, Freaky Friday, Kerst, Nieuws. Tags: Baco & Saco, Disco-Mix, DJ Holly, Elroy Heesbeen, Eurobeat, High Energy, Italo Disco, Italo disco dreamer, Italo Internet Radio, Italo mix, Mark van Dale Turbulentie, New Generation Italo, Radio Stad Den Haag, Radio Stad in the Mix.